Everyone’s familiar with the traditional business card. Even with so many more technological advancements in the modern era, many professionals still rely on cards to share important information with potential clients, investors and colleagues. However, the business card is not the beginning and end of pocketmedia. Businesses that rely on Z-cards see a number of immediate benefits. 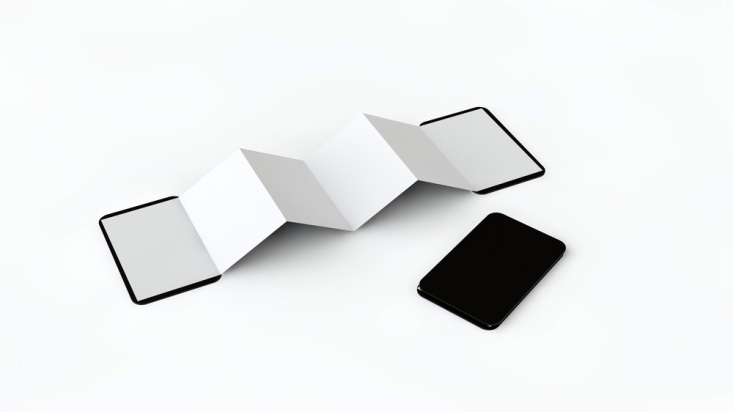 The primary advantage of pocketmedia solutions like the multiple-folded Z-Card is that they’re eye-catching. No business card or brochure in the room will compare, and even people with whom you’ve yet to start speaking will wander over to see what all the fuss is about. You can refer someone to your website, but they’re likely to walk away and forget about their interest in your business. With a Z-Card, you have all the essential information right at your fingertips. You’ll be able to continue engaging the interested party, pointing her to the information and explaining things in more depth. An expert salesperson will direct the conversation using the pocketmedia as a sales tool, pointing out anything that’ll be of special relevance to the person at hand. Pocketmedia is much smaller and easier to carry than a large box of brochures — and they can fit even more information than the traditional brochure. When a company representative pulls out a Z-Card from her pocket, it’ll seem more spontaneous and less like she planned to shove information at a potential client or investor, as it would if she were carrying a large box of brochures. People are less likely to shirk back from a small stack of Z-Cards compared to the “potential sales pitch” that goes along with a box of brochures. The benefits of Z-cards don’t stop there. People will show off your pocketmedia and continue talking about your business long after your representatives have left. Ask a Z-Card representative about more pocketmedia options and how to best use pocketmedia to your company’s advantage.